Monday February 11th, 2013, Vancouver, Coast Salish Territories â€“ The Kurdish and Iranian communities as well as refugee advocates will be holding a memorial in remembrance of deceased Kurdish-Iranian refugee Hossein Blujani on Tuesday February 12 at 9:30 am at 701 West Georgia. The body of the 31-year-old was found on December 1, 2012 on the railway tracks near Commercial Drive and Broadway in an apparent suicide. The groups are demanding an investigation into this death and condemning Canadian Border Services Agency (CBSA) for enforcing racist and inhumane policies. With much sadness and rage, we inform our community that we have lost a vibrant, kind and thoughtful Kurdish and Iranian young refugee. 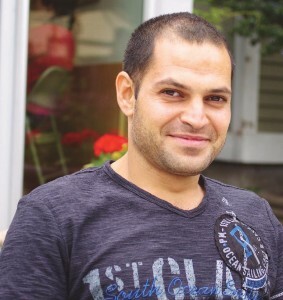 The body of 31-year-old Hossein Blujani was found on December 1, 2012 on the railway tracks near Commercial Drive and Broadway in an apparent suicide. We send our condolences to his surviving family and loved ones. We share in this pain with them so as to lighten their grief. Hossein was a recognized UNHCR refugee (United Nations High Commission for Refugees) who claimed refugee status in Canada in 2010. The unjust and inhumane Canadian immigration system, however, relentlessly pursued allegations of him being a “security threat” and a member of a “terrorist” organization (an organization he was recruited into as a 15-year old and one which Canada itself has delisted). For years he endured long interrogations and hearings, while living without a work permit (until May 2012), no access to housing or social assistance, and no health care.